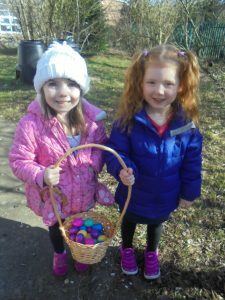 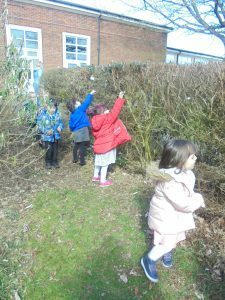 We’re going on an Easter Bunny hunt! 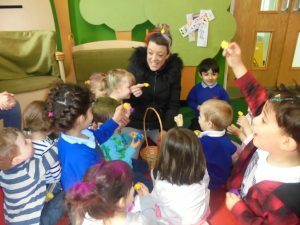 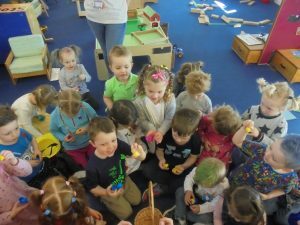 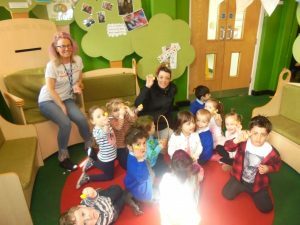 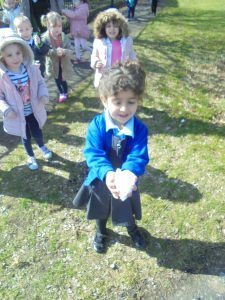 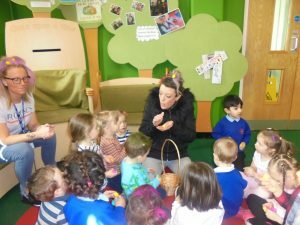 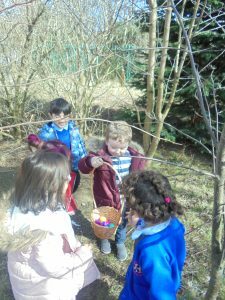 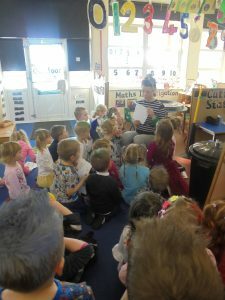 The Easter Bunny paid a visit to Nursery today and left behind some very special gifts for us all…tiny little chicks! 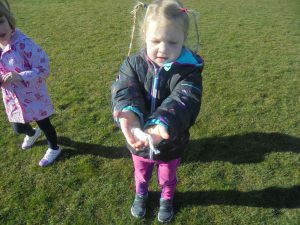 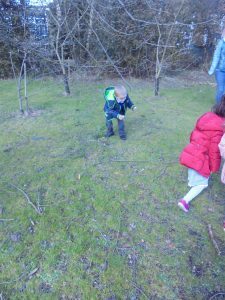 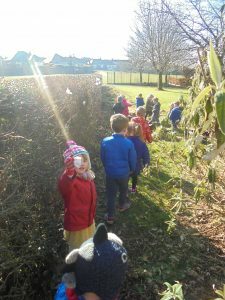 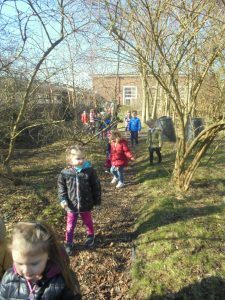 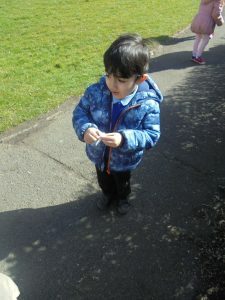 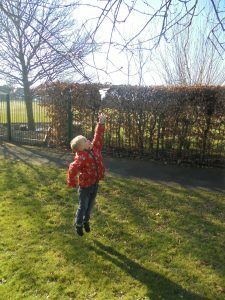 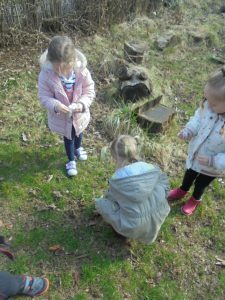 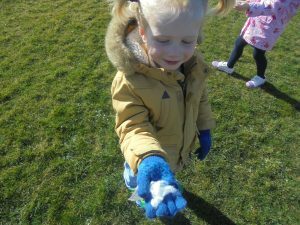 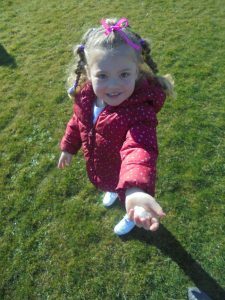 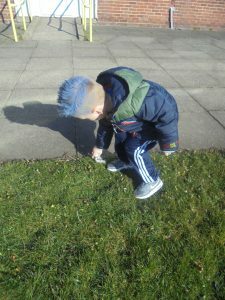 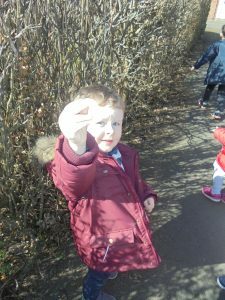 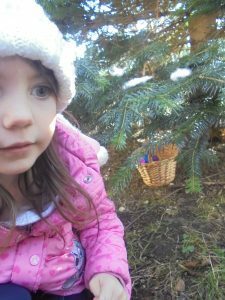 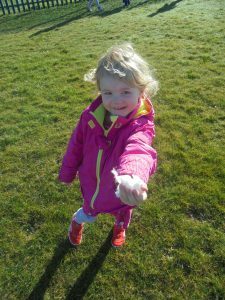 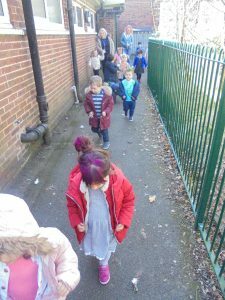 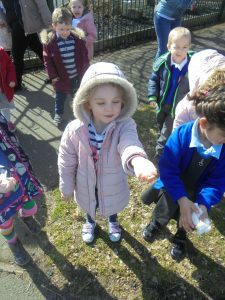 We followed the trail of fur around the field and through the school garden. 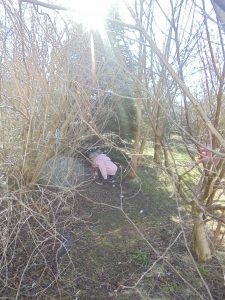 The chicks were waiting for us inside of a basket, hidden under a bush. 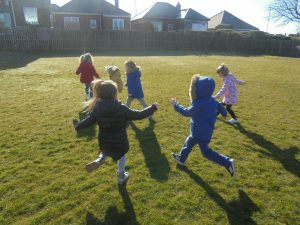 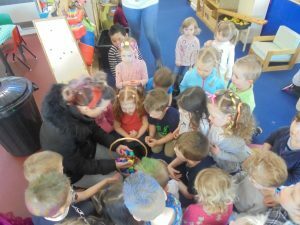 We were all VERY VERY excited! 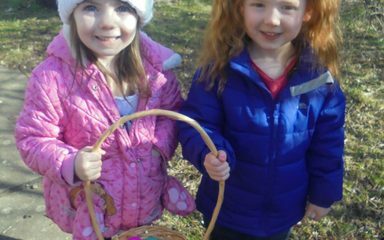 Keep a look out for the Easter bunny during the holidays, he may visit you again!